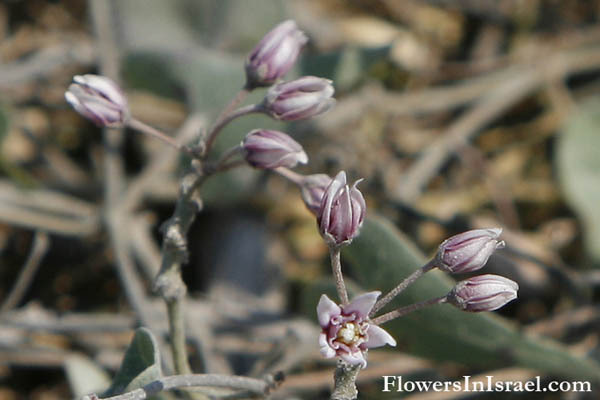 Hebrew: חנק מחודד, Arabic: مديد, Egypt: "Moddeid"
Scientific name: Cynanchum acutum L.
Cynanchum, Greek, kynos, a dog; ancho, to strangle. 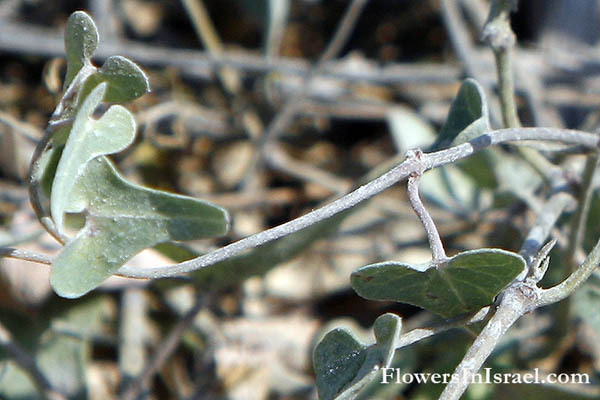 Some of the species of these twining herbs and herbs and sub-shrubs are poisonous. acutum, with a sharp but not a tapering point.